Did you know that this year marks the 20th anniversary of a black actor portraying a Marvel superhero in a big budget studio film? No, I am not writing about Black Panther from the future. No, you have not Rip Van Winkle’d to the year 2038. The truth is that this is the 20th anniversary of Blade, a $45 million Marvel superhero movie distributed by New Line (which was part of Time-Warner) that starred Wesley Snipes, a black man. Welcome to the 16th anniversary of a black man starring as a Marvel superhero in a big budget studio film directed by a member of a racial minority. Two years later, the Blade franchise sadly came to an end with Blade: Trinity — a $65 million flick that grossed a disappointing $129 million. But everyone pretty much agrees it was ruined by a white guy — Ryan Reynolds. How can this be, you might ask? How can this specific racial milestone be 20-years-old when we are celebrating 2018’s Black Panther as a milestone, as the first big budget studio film with a black actor portraying a Marvel superhero? Is it all lies? Is it all a hustle? Is it all politics? Is it all BS? Yes — yes, it is. It is also an indication of just how much race relations regressed during the toxic Obama years. Way back in 1998 when Blade was released, nobody said boo, nobody said a thing, nobody celebrated the fact that a black man was front-and-center in a big-budget superhero movie. Part of the reason is that Blade actually did not break any new racial ground. Before Blade there were two — count ’em, two — black superhero movies in 1997: Steel with Shaquille O’Neal (it tanked) and Spawn, which starred Michael Jai White (it grossed a very respectable $87 million). Prior to 1997, there was Damon Wayans as Blankman in 1994 (it tanked) and Robert Townsend as Meteor Man in 1993 (ticket sales nearly quadrupled its $8 million budget). I should add, though, that not a single one of those movies was celebrated as a first. Again, no one said boo — even though five black superhero studio movies were released in the 1990s. Over the next decade, there was Blade II, Blade Trinity, Will Smith as Hancock (2008), Halle Berry co-starring as Storm in X-Men (2000), X2 (2003), and X-Men: Last Stand (2006), and Berry starring as Catwoman (2004). That is seven studio movies with black superheroes released in the 2000s, and again not a single one of these was celebrated as a first, not even with a black woman as the star; no one said boo, no one said a thing. Why? Was it that America was so racist we did not want to acknowledge such a thing? Was it that America was so backwards, we wanted to pretend this was not happening? It was not that America did not care if a black actor played a superhero, it was actually better than that — we did not notice. 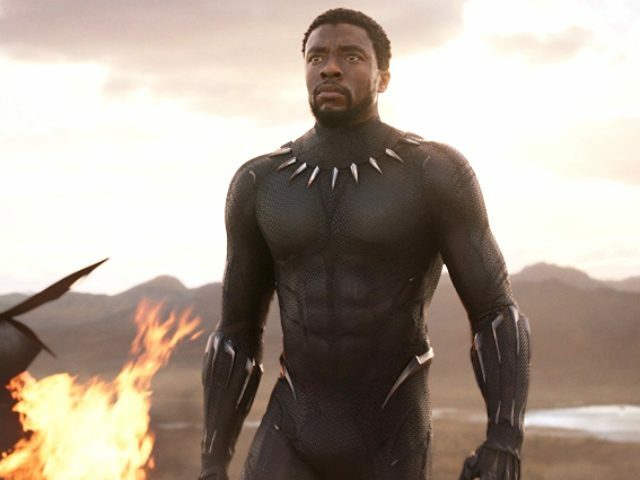 Not only was America more than ready for a black actor in spandex, we were so ready, so colorblind, our hero’s skin color did not even register in our national psyche. The sad truth is this: Over 13 years 12 black superhero movies could be released without any fanfare because America was more advanced on the issue of race relations before Barack Obama became president. Yes, before our first black president, we were actually closer to Rev. Martin Luther King Jr.’s dream of a colorblind society. But look at us now, look at how far we have devolved — to a point where the corporate media and establishment politicians have gaslighted and emotionally blackmailed the whole country into pretending Black Panther is some sort of milestone in a racist country that, up till now, has denied black children the opportunity to see themselves as heroes — you know, except for the previous 12. Ahh, but Black Panther is still first black superhero movie written and directed by a black man, right? Nope. Robert Townsend wrote, directed, and starred in Meteor Man a whole quarter century ago. America’s regression, our backwards strides away from King’s dream, all began with Barack Obama’s 2008 presidential campaign and a media so desperate to protect him that every criticism leveled at The One was labeled racism. Everything was about race. Everything. Then there was that sick 2012 fantasy spun by the media, Obama, and Democrats, about an innocent black child named Trayvon Martin stalked and murdered by a racist white man — even though George Zimmerman is Hispanic and shot Martin in self defense. Then there was the rabid “Hands Up, Don’t Shoot” lie of 2014. Do not misunderstand me. I am not saying race relations were perfect in 1998, or that we had achieved the Dream. But 20 years ago, we were close enough to not even notice Blade; and our media, Hollywood, and the left, were not so desperate to hold on to power through racial division that they would manufacture a bright and shining lie about Black Panther being anything other than number 13.